Whenever the government changes, the newly appointed minister for agriculture introduces new agricultural programs with noble objectives. The objectives of such programs are usually to address the problems of farmers and make agricultural sector a reliable, capable and productive one for economic development. Ministry of Agriculture and Livestock Development (MoAD) under Chakra Pani Khanal has been launching various special programs to boost productivity and food self-sufficiency through local production. Incentives have been announced to attract youths in commercialization of agriculture, but these incentives have not brought desired results. The consistent gap between agriculture programs and achievements has disappointed the people. In the past ministry of agriculture development (MOAD) had implemented mission programs of crops/commodities such as paddy, maize, vegetables, lime, lentils and fish for 2008-2013. With these programs, the government had aimed at making the country self-reliant in food within two to three years. Maize Mission Program was started with the objective of substituting maize import from India, increase income of the farmers and supply raw materials for feed industries through integrated supply of seeds, machineries and other inputs. 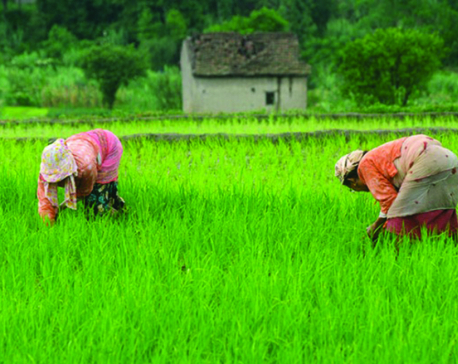 Similarly, a Mega Rice Production Program (Brihattar Dhan Utpadan Karyakram), was launched in 13 districts of five clusters—Jhapa, Morang and Sunsari under eastern cluster, Sarlahi, Bara and Parsa under central cluster, Rupandehi and Kapilvastu under western cluster, Dang, Banke and Bardiya under Mid-west cluster and Kalali and Kanchanpur under Far-west cluster. This program comprised of two components. The first was focused on increasing productivity of main season rice and the second was about increasing area and productivity of spring season rice. But there is no difference in production of said crops before and after implementation of these programs. Instead, the import of these commodities is increasing. We imported rice and maize worth Rs 29 billion and Rs 12 billion respectively last fiscal year. 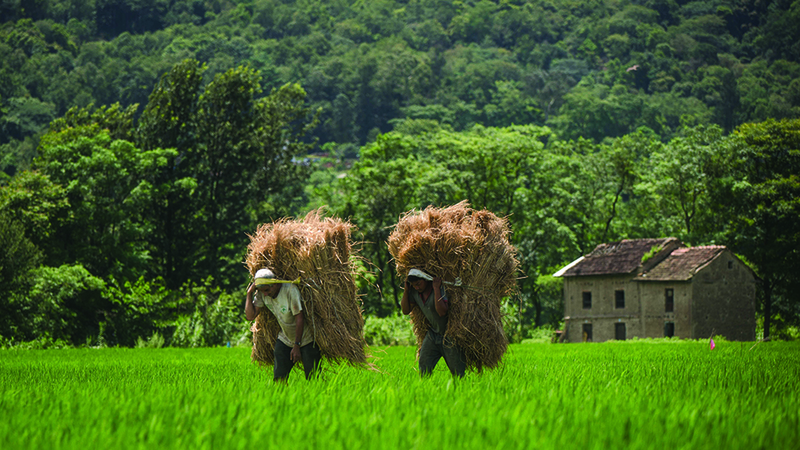 Under Agriculture Development Strategy (ADS)—a 20-year vision document with the first 10-year action plan —four flagship programs such as value chain development of agriculture products, food and nutrition security, agriculture extension service and agriculture research are in execution at the moment. The Ministry has also tried to harmonize its regular programs with ADS. Prime Minister Agriculture Modernization Project (PMAMP) has also been in implementation for the last two fiscal years. The government has expressed a commitment to running the project for the next 10 years, under which the ministry will expand the blocks, zones and super zone gradually every year for the next 10 years. Around 10 hectares of land are required for one pocket, 100 hectares for a block, 500 hectares for a zone and 1,000 hectares for a super zone. The ministry is to develop 21 super zones across the country by the end of the project period. 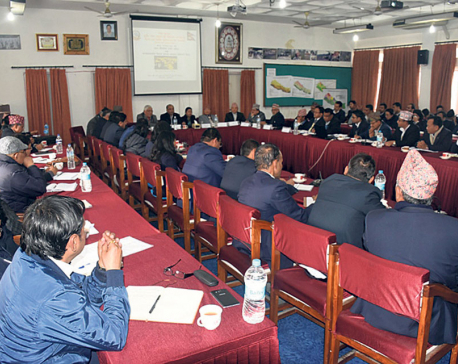 The ministry claims that the PMAMP has begun with a clear and specific roadmap for increasing agriculture production and productivity to make the country self-reliant in agriculture production within a decade. With the implementation of this project, the country will be self-reliant in rice and potato in two years, in maize and wheat in three years, in fish and vegetables in two years and in fruits in seven years. The author has visited some fields of zone and super zones, interacted with the concerned stakeholders and reviewed available documents. Based on the observations, the author is not convinced that PMAMP is going to be a successful program. The Ministry of Agriculture and Livestock Development (MoALD), which is the implementing body for this project, has focused programs on subsidies to address the supply-side constraints. However, the agriculture experts have raised doubts about sustainability of the project due to its focus on subsidy oriented programs. Regarding food security, the situation is deteriorating every year. Nepal has implemented many programs aiming at food and nutrition security, but the achievements of these programs are not satisfactory. Out of 16 high hill districts, 12 districts have food deficit. District Food Security Networks (DFSNs) classified 48 VDCs in six districts as highly food insecure with an estimated affected population of approximately 87,100 in 2017. It classified an additional 183 VDCs in 14 districts as moderately food insecure. At household level, every province has food insecurity problem, but the situation is more severe in Province 6 and 7 despite many food security programs being implemented there. Even the public-private partnership programs have not been successful in Nepal. For example, the ‘One Village One Product’ (OVOP) and ‘One District One Product’ (ODOP) programs, which came into being from 2006 as public-private partnership model could not show tangible impacts. These programs have been discontinued. Why do good agriculture programs fail? Some of the reasons are discussed hereunder. First, formulation of programs and projects occurs often without adequate evidence-based analysis. Program implementation is not sufficiently monitored and evaluated, or is delayed until it is too late to make adjustments and corrections. In most of the programs, there are limited financial and human resources and these resources are also not well matched. For example, the PMAMP is said to be expanded further. Grants are to be provided on improved seeds and plants of tea, coffee, cardamom, areca nuts, potato, banana and lemon. But allocated budget of Rs. 4.77 billion to run this project is not sufficient. It is even lesser than the last year’s budget. Second, in most cases, attitude of the staff is also not positive. When it comes to delivery on crucial issues, the officer in-charge waits for orders from seniors. If the orders do not come, everything stops. But such officers do not need any orders for grasping the facilities of the project. Mostly, selection of program manager and other key staffs is not fair and transparent. Frequent change of staff is also a serious concern. Human resource development and strengthening existing manpower are not prioritized. Monetary incentives including salary and other perquisites are not motivating enough. Finally, there is a lack of an appropriate organization to implement agriculture programs. The existing district agriculture development offices (DADOs) have now been dissolved. But the new Agriculture Knowledge Centers which are to provide technical knowledge and skills to the farmers have not been established in required numbers. Even structures at the local levels are not capable of implementing special program like PMAMP. Coordination among the key stakeholders is very weak and commitment for program implementation is sorely lacking. If we do not ensure effective implementation, even the best of agriculture programs fail. Thus the government needs to assess implementability of new projects beforehand.